The EU is seeking to finalise free trade negotiations with the South American trading bloc Mercosur and with Mexico by the end of this year. It is also to launch free trade negotiations with Australia. All three trading partners are cane sugar exporters. Brazil, the biggest Mercosur member, is the world’s largest. Between 1968 and 2017, the EU’s sugar market has been a managed and largely closed market propping up beet sugar producers: there were production quotas to provide the domestic markets and (until 2008) subsidies for a certain amount of exports. That system has now ended. The end of the quota system has not upended the EU’s restrictive sugar import regime. Tariffs can be higher than €400 per tonne. There are preferential and import tariff quotas granted to various groups of countries. Former European colonies – the Africa Caribberan and Pacific countries – and the world’s poorest countries enjoy duty free access for cane sugar. Other producers were given reduced tariff rates under specific quotas enshrined in the WTO – so-called tariff rate quotas. Brazil enjoys as so-called TRQ of 334,000 tonnes for raw sugar, with an in-quota tariff of €98 per tonne. There are territorial restrictions on where in Brazil the sugar can come from. Countries like Mexico can apply for quotas under the EU’s 263,000 erga omnes quota. On 6 November 2017 a new round of free trade negotiations with Mercosur started in Brasilia and member states met in Brussels for a debriefing of agriculture ministers. On that occasion, CIBE, a leading sugar producer association in the EU released a press statement saying that “sugar market access concessions to Mercosur, Mexico and Australia should be excluded”. Sugar and derivative products such as ethanol have been trade deal killers in the past. The initial EU Mercosur free trade negotiations came to a halt in 2010 in part due to the EU’s refusal to consider more sugar market liberalisation. Some EU member states were simply not ready to see Brazil, the world’s largest cane sugar exporter, gain market share in Europe. Yet the EU also knows that it will need to offer greater market access to these partners if it wants to clinch a deal. The Commission is very eager to do so by the end of this year at least with Mercosur, potentially with Mexico. With Mercosur, no sugar offer has yet been discussed. The EU tabled an offer to its counterparts on the other highly sensitive products beef and ethanol (which is based on sugar) to Mercosur. This created an uproar among beef and biofuel producers in the EU. It also left Mercosur highly frustrated as the South Americans saw this offer as inadequate. The EU’s sugar trade saga is old: the bloc’s sugar policies have been widely criticised for harming developing countries. With the relaunch of the Mercosur and Mexico negotiations in 2016, the sugar story was revived. The question now is: after having introduced a free market for sugar within the EU, will the EU now liberalise trade in sugar outside the EU? The ongoing political battle over this issue is pitting refiners and confectioners against beet producers, core EU against more peripheral member states, and big emerging market sugar producers against more fragile developing economies that have benefited from EU sugar preferences. On 6 November 2017, the EU’s agriculture commissioner Phil Hogan did not respond to a journalist question on whether the EU was tabling a sugar quota offer to Mercosur. Instead the answer was: “We are disappointed that there are not products on the table on the Mercosur side of the negotiations on dairy, on wine, on fruits and vegetables and olive oil to the extent that we would wish”. Hogan added: “We will be putting pressure on Mercosur to be more ambitious in commodity areas other than the ones that are sensitive to the European Union”. This clearly indicates the EU is willing to negotiate with Mercosur over sugar. Reasons for opposing sugar liberalisation put forward by CIBE include: Brazilian and other country ‘subsidies’ to sugar, purported lower standards (whether labour or environmental is not specified) applied by these countries, “the detrimental cumulative impact of any future sugar concessions which would jeopardize the sustainability of the EU sugar sector”, preference erosion for the ACP and least developed countries. The planned departure of Britain from the EU and the resulting renegotiation of TRQs in the WTO that could result from it it is seen as a further reason to resist giving anything away in the bilateral negotiations. With the end of sugar production quotas since 1 October 2017, the EU’s beet producers fear a production glut and lower prices. More sugar imports would make matters worse. Yet EU sugar users – be they big multinationals such as Danone or thousands of small confectioners, fine bakery producers and chocolatiers don’t see things the same way. They fear the end of the quota system could lead precisely to shortages of sugar in the EU going forward. So far the sugar using industry has relied on supply from the EU market complemented by 20% of imports from outside the EU, mostly ACP countries. The latter however have started diversifying their exports away from the EU as demand for sugar is growing globally in emerging markets. This market trends mean that EU sugar producers – who produce 20% of global sugar – could start exporting outside the EU more than they do today, replicating a scenario that unfolded after the EU eliminated dairy production quotas in 2013. Now the EU’s dairy producers are out to conquer foreign markets and the EU Commission is working hard to get free trade agreement partners to open up to EU milk and milk-based products. Making Canada open up its dairy market in CETA was one of the toughest jobs for the Commission, but also one of its key successes. The EU has also obtained significant concessions from Japan for its dairy exports in the Economic Partnership Agreement negotiations Tokyo and Brussels are currently finalising. 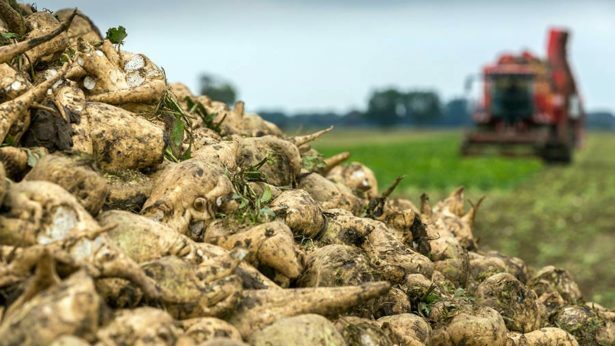 During the summer months there can be sugar shortages before the autumn sugar beet crop. With a freer market in sugar in which EU sugar producer could start seeking better prices abroad, industrial or artisan confectioners, ice cream producers, and biscuit makers are worried the security of their sugar supply might be negatively affected if they don’t have the option to import more. “Security of supply is the key element” Robert Guichard, President of the Committee of European Sugar Users – CIUS – told Borderlex. “Since end of quotas Europe can now export freely. But on the import side, nothing changes, imports remain restricted. We are now in an imbalanced situation”, says Guichard. The aim of producers interested in importing more is not to start flooding the EU market with cheap sugar. Sugar users prefer to source their sugar not too far away from where they produce. This is a world of just-in time production and continuously high transport costs, argues CIUS’ chief. The aim is to be able to activate imports if and when needed. EU sugar beet production is concentrated in northern France, Germany, the United Kingdom and Poland. The EU also has an important refining industry that imports raw cane sugar. This industry is largely based in Southern and Northern Europe, and is also important in the United Kingdom. These industries want a deal. They are based in countries that are also actively asking for a deal with Mercosur, whereas countries like France are resisting and biding for time. There is another factor that could tilt the EU further in the direction of giving in on demands to increase sugar quotas: its own agricultural and processed food sector, including sugar-intensive confectionery is increasingly “offensive” and asking trading partners to eliminate their often high tariffs on such products. The EU made Canada eliminate its tariffs on confectioner. In the EU Japan free trade negotiations, the EU announced that its Asian counterpart had agreed to eliminate all tariffs on confectionery. Mercosur and Mexico are seen as potentially interesting export markets for EU biscuit producers. CAOBISCO, a business group representing EU chocolate and fine baking (cakes, biscuits, breads) producers says it wants Mexico and Mercosur to eliminate its import tariffs on these products, which currently stand at 18-20%. The EU is also having its trading partners protect artisan products under its Geographical Indications. For example, Canada agreed to protection the confectionery and bakery products such as Germany’s Aachener Printen, its famous gingerbreads the Nürnberger Lebkuchen, Lübecker Marzipan, Bremer Klaben, Greek Masticha Chiou, Cypriot Loukoumi, Spanish Turrones de Alicante, or Italian Ricciarelli di Siena. With the EU making such demands on its free trade negotiation partners, not reciprocating on sugar appears an increasingly untenable position. This week, UNICA, Brazil’s vocal cane sugar producer, called on the Mercosur negotiators to “sweeten the deal”. If the political will persists to get to a deal, the long-awaited sugar fix could well end up coming.